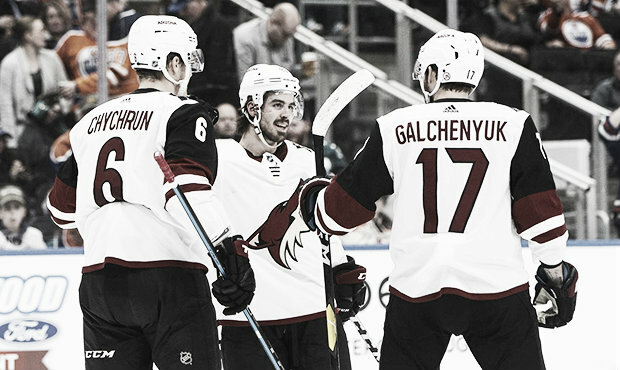 The spark-plug forward has lifted the Coyotes spirits by scoring eight goals in 10 games. He's tough too. 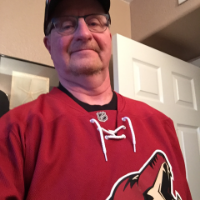 Just when the Arizona Coyotes thought things couldn't get any worse... they did. They lost yet another player to injury when center Brad Richardson went down with a hand injury which may sideline him for 4-6 weeks. The swift 22-year-old winger plays with a ton of heart and some fairly awesome talent, especially of late. He has played 17 games since being called up to replace injured Michael Grabner and he's making everyone notice him. He has collected eight goals and two assists but more importantly, he has demonstrated his uncanny ability... for his size to go to the net with regularity. At 5'10", 165lbs he's accustomed to being pushed around... that is if the defenders can catch him. He has caught the team and its fans in a whirlwind of admiration for his on-ice performance and energy level. He certainly proved that theory in the last game he played against the Edmonton Oilers. In one of the strangest plays you'll ever see in the NHL, Garland was in his usual spot posting up in front of Cam Talbot's net trying to create havoc and screen the goaltender's vision. It worked except he got cross-checked in the back, knocked down and when he got back up Jordan Oesterle had fired a shot from the point which hit Garland square on the left side of his face. He immediately fell to the ice bleeding profusely but he didn't care because the puck ended up in the Oilers' net for the second power- play goal for Garland. He went off the ice for repairs but returned in time to score yet another power play goal in the final period which wound up being the game winner. Clayton Keller's shot went over the net off the glass ending up in the crease and deflecting off Garland's skate and past the bewildered Talbot. It seems that Garland acted like a pinball machine bumper obstacle with the puck finding paydirt both times. With the team struggling to score this season managing just 2.61 goals per game, the added offensive punch provided by Garland has been a rallying point for the team to attempt to get through all of its injuries. There certainly isn't another team in the NHL as banged up as the Arizona Coyotes. Yet, after their 3-2 win over the Oilers, they only trail the Minnesota Wild by four points for the last wild-card spot. They have won three straight in the process. The team can play defense as referenced by being the sixth stingiest team in the league. The offense has struggled at times but when a hungry player like Garland gives them energy... it is contagious. The part of Garland's game which pleases head coach Rick Tocchet is his relentless attack of the opposing team's net. He defines the term "go to the net." Of his eight goals, many are a result of him getting a rebound or deflection or even screening the goalie's vision. For a little guy, he has the courage of a lion to go to the net and pays the price he pays for being there for his club. What was really encouraging was after he came back from getting his face stitched up he was really zealous to get back to the bench and get to work again. That kind of work ethic is admirable especially from such a young player. Welcome to the NHL Conor Garland! Hope you stick around for a while... we can use you. What do you think about Conor Garland's play since he has arrived in the NHL? Can he be the spark which ignites the Coyotes' offense? Let us know in the comments section below.